A national art and craft show magazine has selected the Letchworth Arts and Crafts Show & Sale as one of the best art festivals in the country. LACS has made the Sunshine Artist Magazine 200 Best list as No. 26 for classic and contemporary art and craft shows. The list is released annually and highlights the top fine art and design shows nationwide. The Letchworth Arts and Crafts Show & Sale is coming up on its 42nd year. It features pottery, paintings, quilts, fiber arts, handcrafted jewelry, photography, packaged specialty foods and more, while also providing live entertainment and other activities. The show is held at the Highbanks Area of Letchworth near the Mt. Morris entrance. 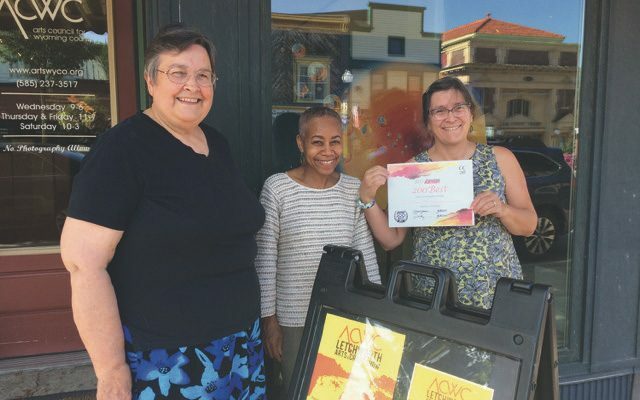 The Letchworth show beat out thousands of other festivals in receiving the 200 Best honor from Sunshine Artist. Rankings are solely based upon surveys submitted from LACS’ artists and attendees. Using what it calls a “FastAudit,” Sunshine Artist asks people to rank the show on a scale from 1 to 10 in different categories, including artists’ sales, prestige of the show, quality of work, artist treatment, artist amenities, attendance, layout and more. Artists and show-goers of the Letchworth Arts and Crafts Show & Sale extend far beyond local borders. There are people who come from as far as Canada, Florida, Maine and South Carolina. Hoyt gave them a “huge thank-you” for their participation in LACS. She also credited Letchworth State Park Manager Roland Beck and Lisa Burns, the marketing and public relations representative for the Genesee State Park Region, in helping with the show’s success. Doug Kelly, who oversees the festival grounds, was credited as well. “He’s done a fantastic job with really communicating to the workers what we want to see in terms of the ground,” Hoyt said of Kelly. Another key to the show’s success has been the local community. It has embraced the Letchworth show and more, Hoyt said. “To get this award, it’s a lot of hard work and teamwork for everyone involved,” Hoyt said. “We can’t take all of the credit for it, and that’s what we’re all about, we’re about partnerships. We truly believe that our success is because we have a good community that we work with, that we’re a part of, that believes in our mission. 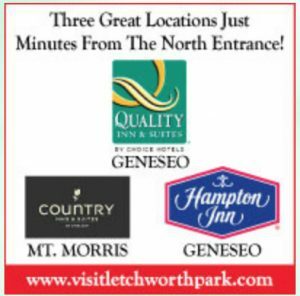 The Letchworth Arts and Crafts Show & Sale returns Oct. 7 through Oct. 9 to the Highbanks Recreation Area of Letchworth State Park.